Local Deal: Roma Foods 68th Anniversary Sale! 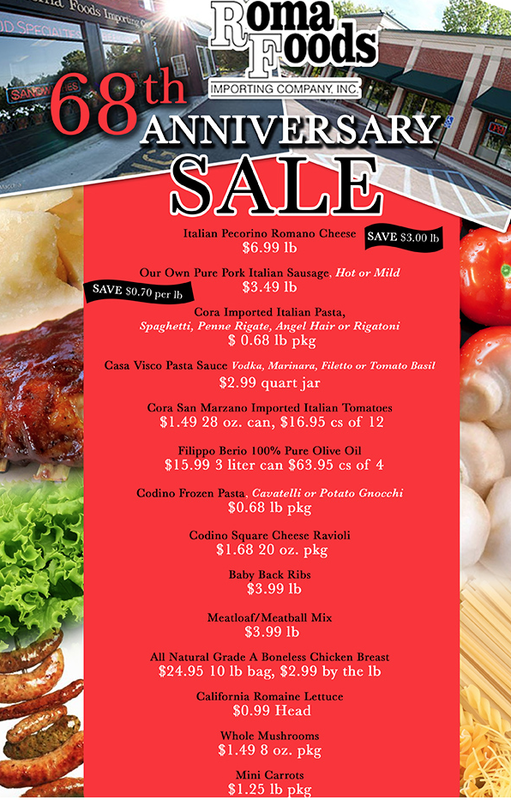 Roma Foods, located in Saratoga & Latham, NY, is having a 68th Anniversary sale thru 10/13! There are great deals on pasta, sausage, chicken breast, frozen pasta plus more. You can check out the full list HERE.